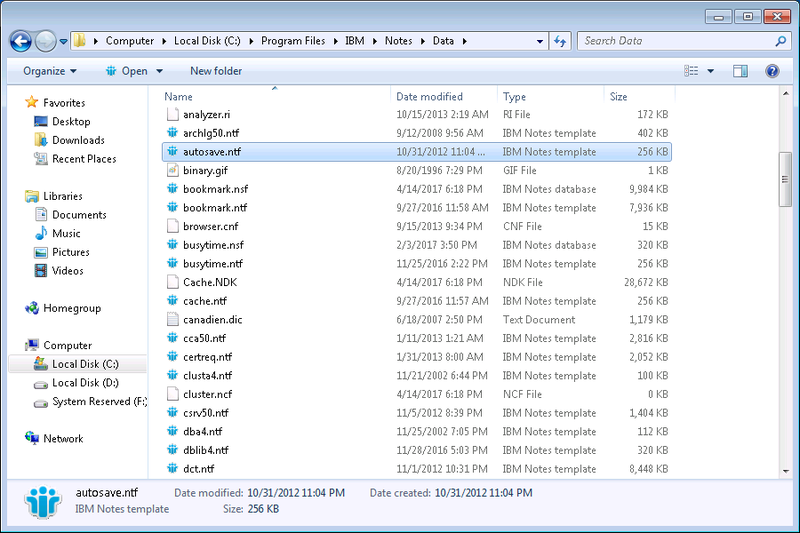 lotus notes autosave file resides? Autosave.ntf file Default Location can be obtained as C:\Program Files\IBM\Notes\Data. What is notes autosave.ntf file? Autosave is one of the nice features in Lotus Notes. It can create a copy of recent work done in Notes. If user's computer crashes by any reason, then this feature will save a copy of latest work done by him. With the help of that copy, one can easily recover his data. What are the Features of notes autosave.ntf file? It allows a user to save his documents automatically after a fixed interval of time. When a user starts the Notes after it fails to open any document, then it can also recover those saved documents. It provides safety and security by data encryption. The user can on and off the autosave option in lotus as per the administrator’s policy. It saves fast and avoids any extra server activity. 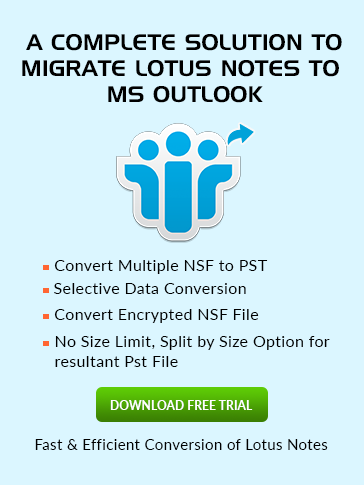 When can it be helpful to use lotus notes autosave ntf? If there is any power failure, a user is unable to save his emails by himself then this feature may help out. It will automatically save all the data and reduces stress for a user to save his work. If a user closes the Notes application improperly, then data may loss and user’s work remains unsaved. So again this feature can save his work. If somehow Lotus Notes client get crashed, then it may be possible that it can delete all the data on which user is working on. The file location is by default in the local data directory by the template as autosave.ntf. It is an encrypted file and can be open in Lotus Notes but not in a single view. The user's auto save database is named with “as_” followed by the his first initial and last name. Example, a user George Mathews will have his AutoSave database file as as_JMathews.nsf.